After celebrating the big 2-9 at a Whole Foods beer dinner followed by a night out on the town with my favorites, this birthday week (obviously?) finished up with an early evening dinner with The Man’s parents last night! 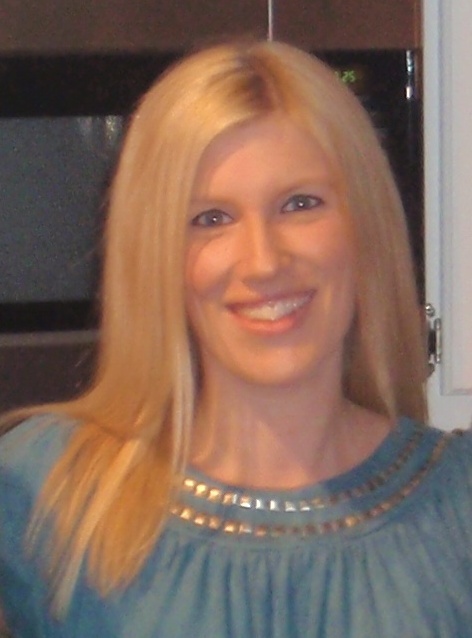 I had the following choices (1) go out to dinner (2) have dinner cooked for me or (3) cook dinner for everyone. 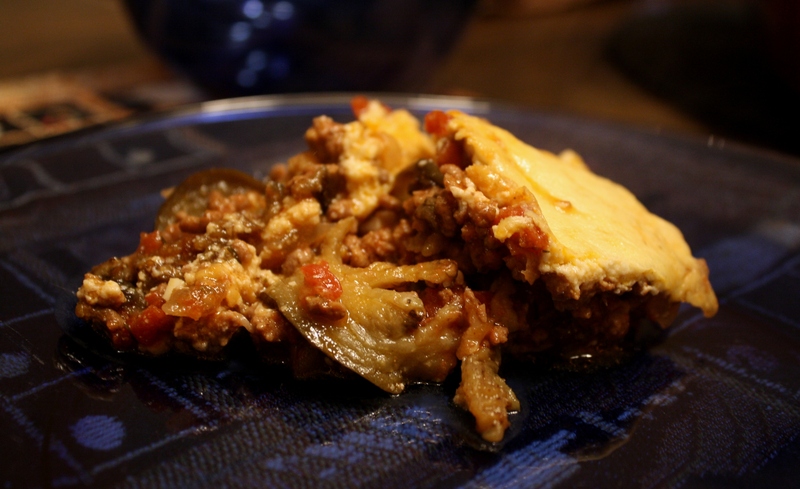 An old recipe for moussaka unassumingly crossed my path Saturday morning and I just knew that I had to try out my own version of this Greek specialty! 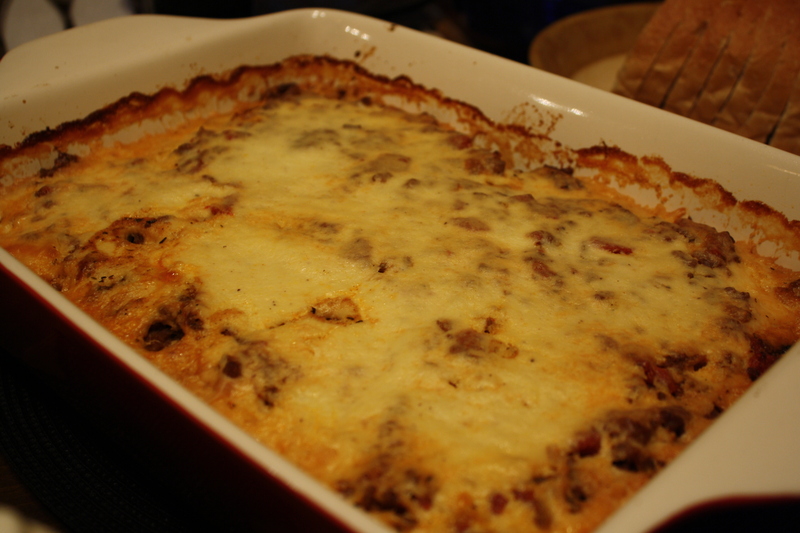 In doing some reading I learned that Greek moussaka (at least the modern version) consists of (1) a layer of eggplant (2) a layer of cooked meat – usually lamb – w/ onion and tomatoes all topped with (3) a creamy béchamel sauce layer. 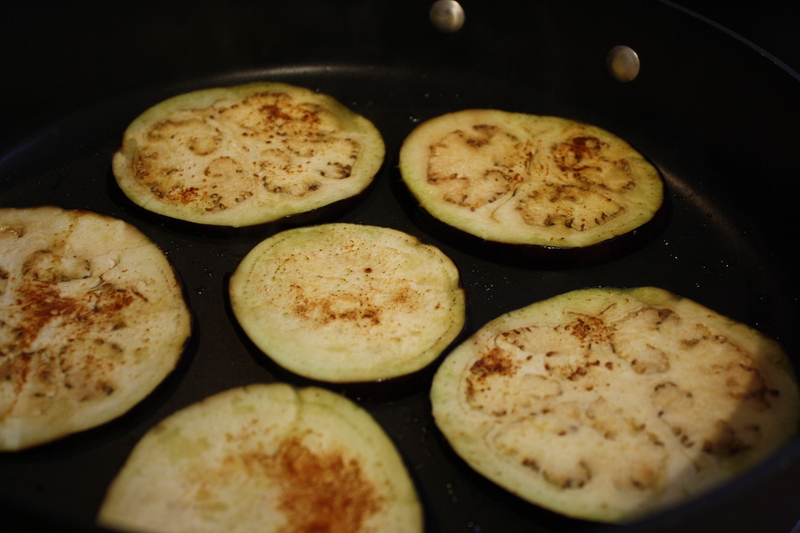 Start by slicing the eggplant and sprinkling with a bit of sea salt. Allow these to sit for about 20 minutes to draw out the moisture before cooking. Then cook in a very hot pan using olive oil until browned a bit. I had to do this in batches. 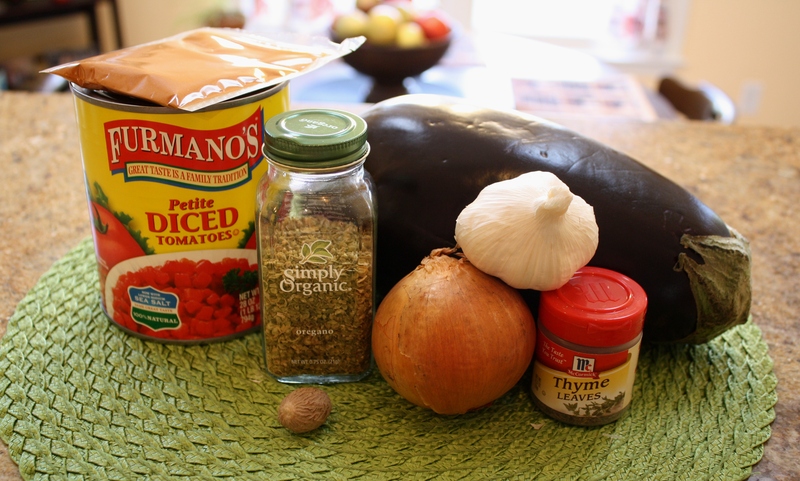 Once the eggplant are done, saute the diced onion in 1 tblsp olive oil for about 5 minutes. 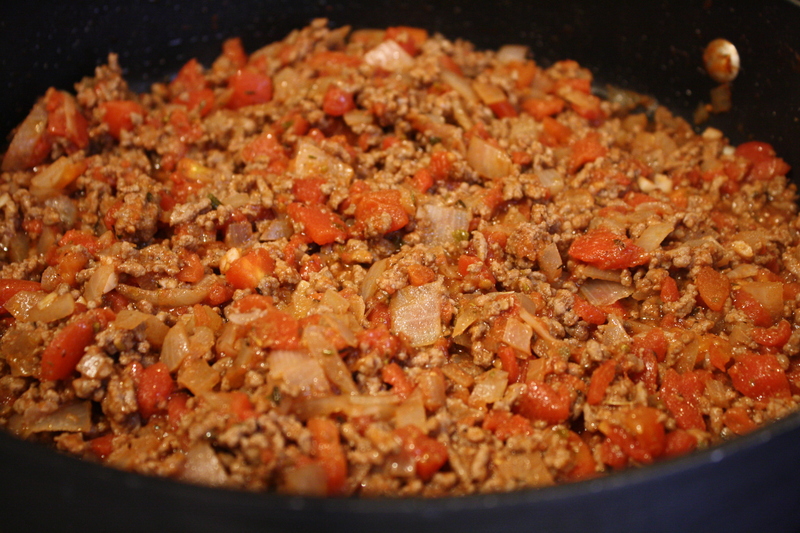 Then add your ground beef and cook until done. I opted for ground beef vs. lamb, I’m not a big fan of the latter. The drained tomatoes and garlic go in followed by tomato paste, a few spoonfuls of the reserved tomato liquid (about 4 large spoonfuls), dried oregano, dried thyme, sugar and black pepper. Then turn down to medium low and let do its thing for about 20 minutes. At this point you’re ready to make the béchamel – which also has cheese mixed in. I’m sure there is some technical culinary term for this? 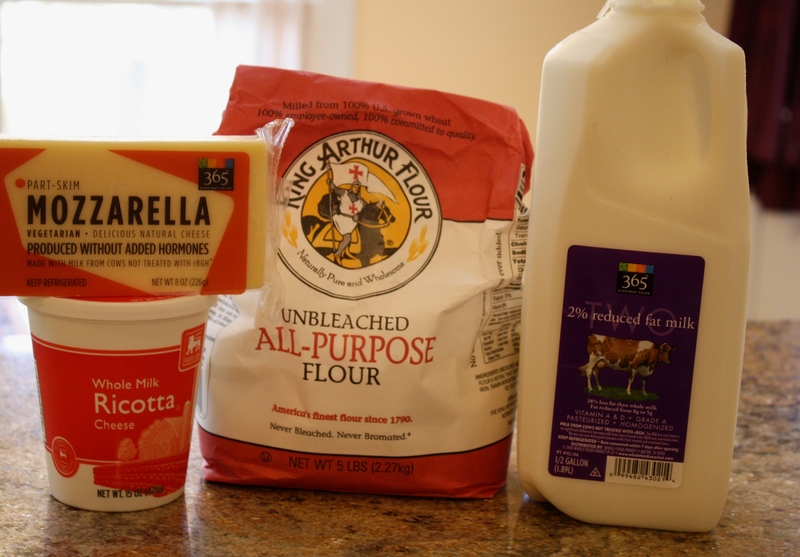 Simply whisk 1/4 cup of the milk plus the flour (over medium heat) until smooth. Then in goes the rest of the milk followed by the shredded cheese, a little at a time until smooth. Last add the ricotta, nutmeg and cayanne – whisking until smooth. Then you’re ready to assemble the moussaka! 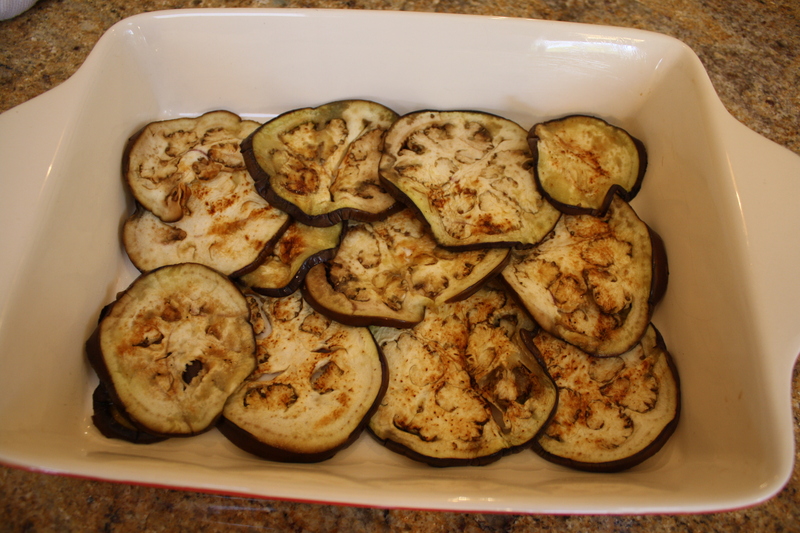 Eggplant layer – half of the cooked eggplant. 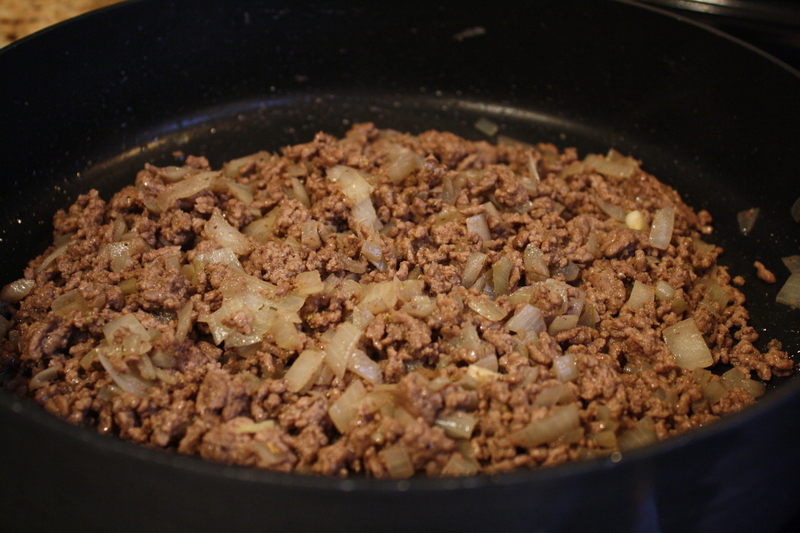 Meat layer – half of the cooked meat mixture. 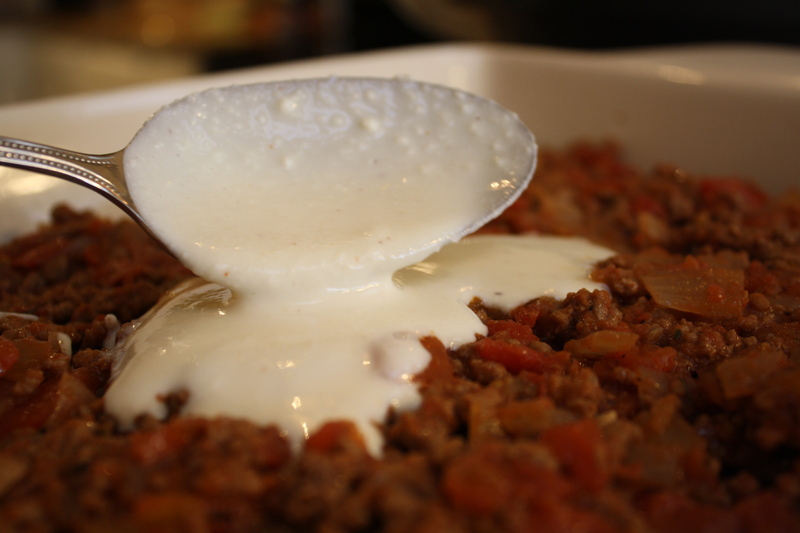 Last layer – cheese sauce aka heaven. Then baked at 350F for about 45-55 minutes, or until browned on top. With a fresh side salad. 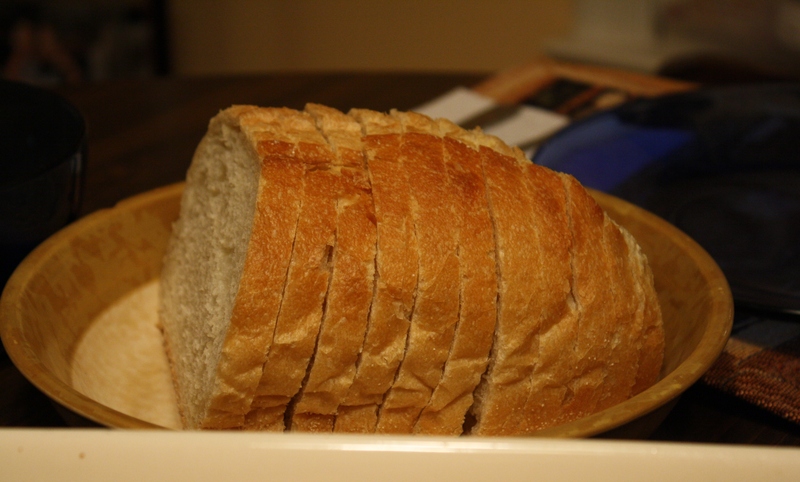 And a warm loaf of fresh bread. Sunday night dinner at its best! Definitely glad that worked out! Speaking of The Man’s mom, check out this amazing cake she brought over for the birthday dinner. 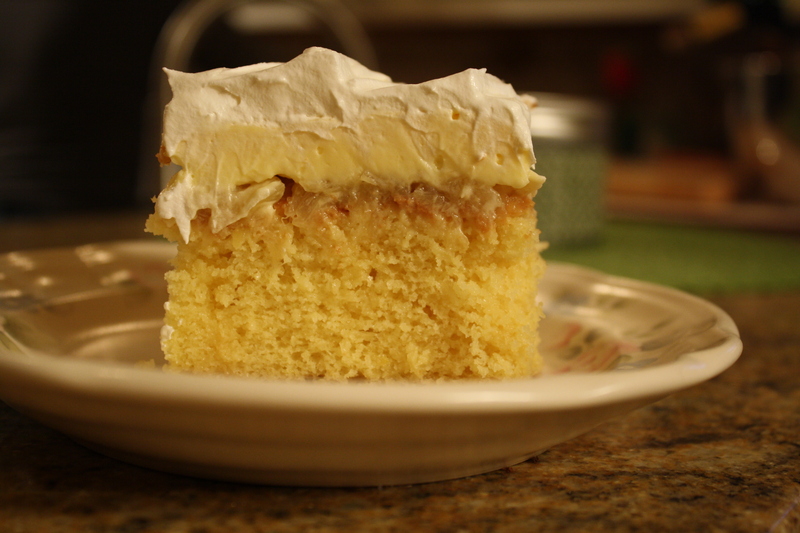 It has a pineapple layer, a banana pudding layer, a whipped cream layer and the cake portion is super dense and moist. 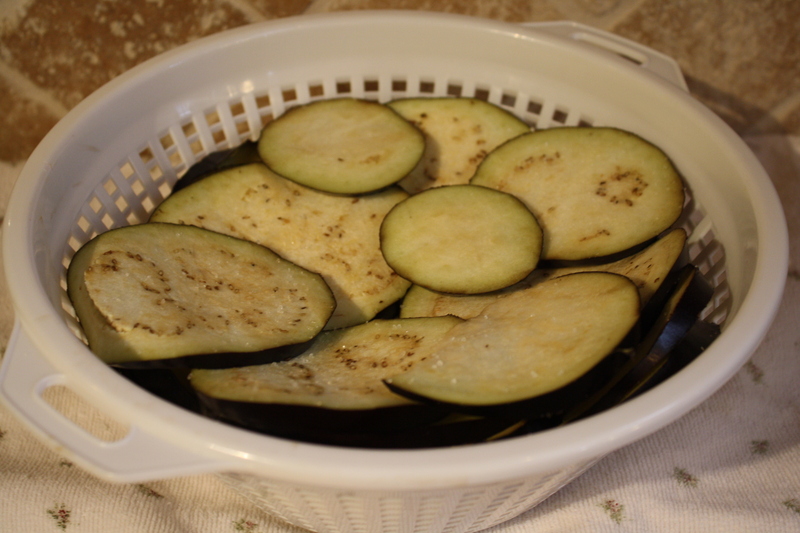 Salt the sliced eggplant and let sit for 20 minutes. Then cook in a large pan over medium-high (in batches if necessary) using 1/2 tblsp olive oil, until browned a bit. Set aside. Saute onions in 1 tblsp olive oil for about 5 minutes, add ground beef and cook until browned. Drain any grease if necessary. Add garlic and drained tomatoes followed by the tomato paste, oregano, thyme, sugar, black pepper and a few spoonfuls of the reserved tomato liquid to make the mixture nice and moist. Cook over medium low for 20 minutes. 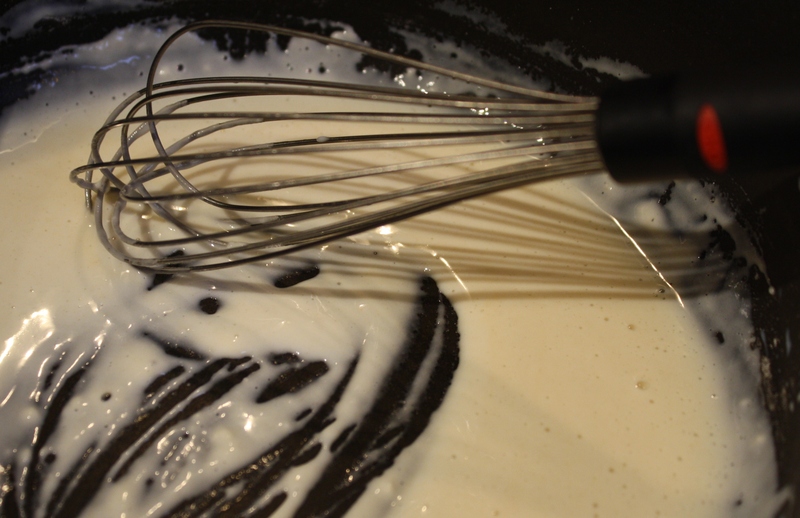 Step 3: Make cream sauce. 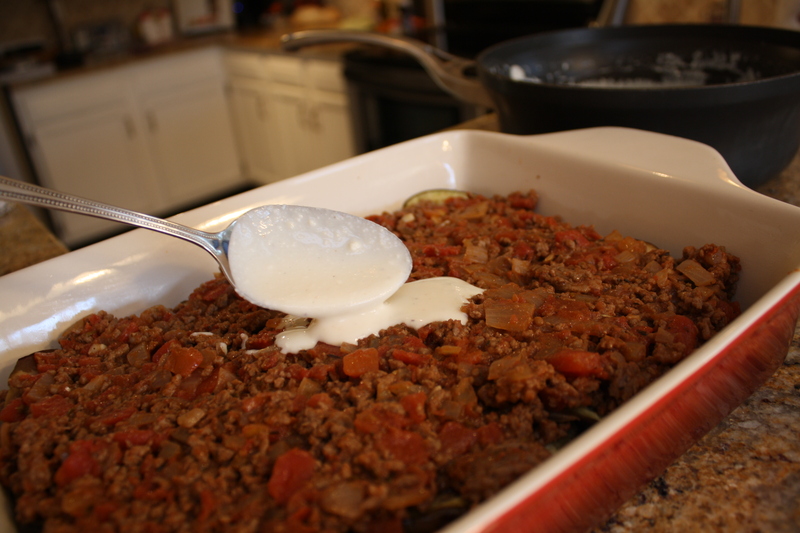 Start by whisking 1/4 cup milk in a hot pan with the flour, until smooth. Then add the rest of the milk, whisking. 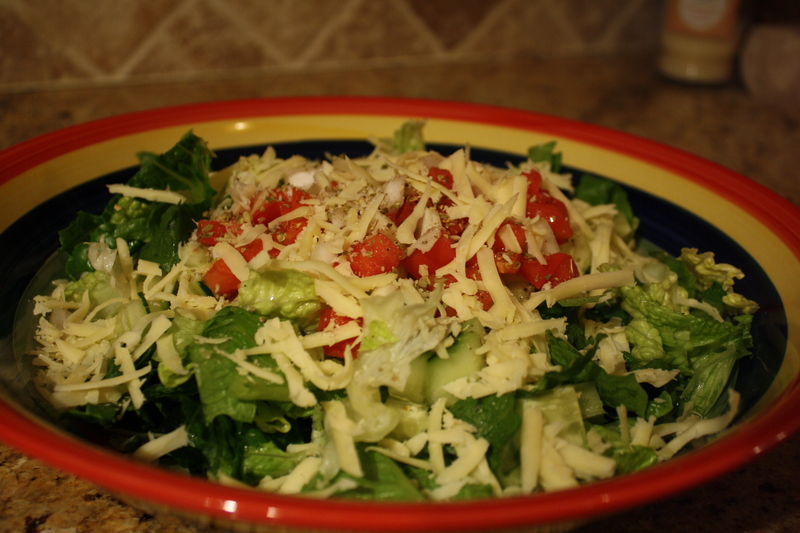 Follow with the shredded cheese, a bit at a time, until melted and smooth. Lastly, add the nutmeg and cayanne plus the ricotta cheese, stirring until smooth. Step 4: Assemble and bake! 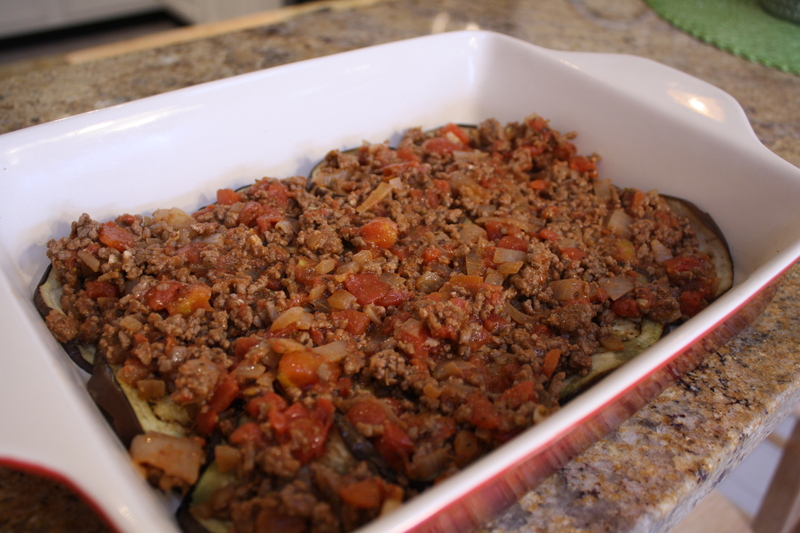 Layer half the eggplant on the bottom of a baking dish, top with half of the meat mixture. Repeat. 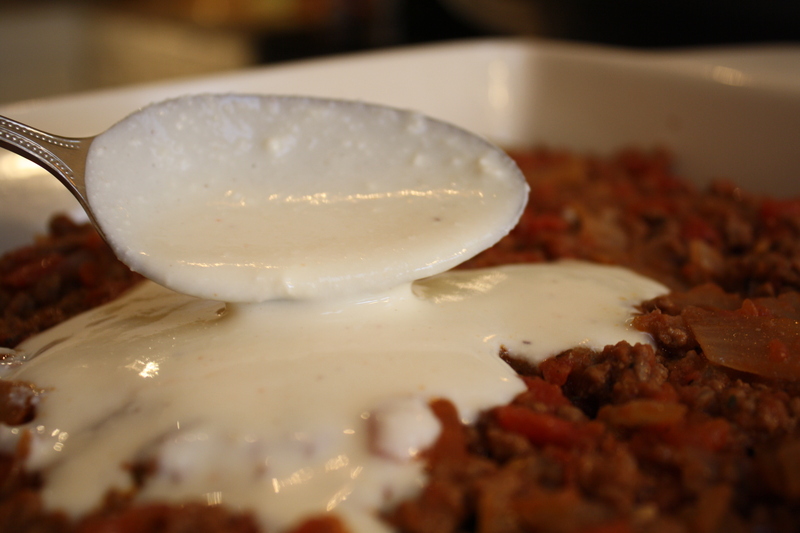 Top the moussaka with the creamy cheese sauce, pouring over the top. Bake at 350F for 45-55 minutes, or until browned on the top and set.